As we turn the calendar page to 2017, now is a good time to review the forecast from China from a sourcing perspective. Here what we are seeing on the ground in Shanghai. One of the biggest changes in 2017 is the impact of the incoming Trump administration. If we look at the series of events involving China leading up to his inauguration, the relationship is off to a rocky start. During campaign season Trump made numerous accusations against China, for instance accusing China of manipulating their currency. As a result Trump threatened to slap a 45% import tariff on products made in China. After Trump’s campaign victory he accepted a congratulatory phone call from the President of Taiwan. This infuriated Beijing as it broke from the US’s strategic “One-China Policy” which never formerly recognized Taiwan as being independent thereby smoothing over US-China relations and trade. 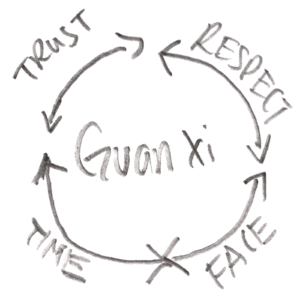 But Trump does understand one thing – the concept of “Guanxi” or building relations. 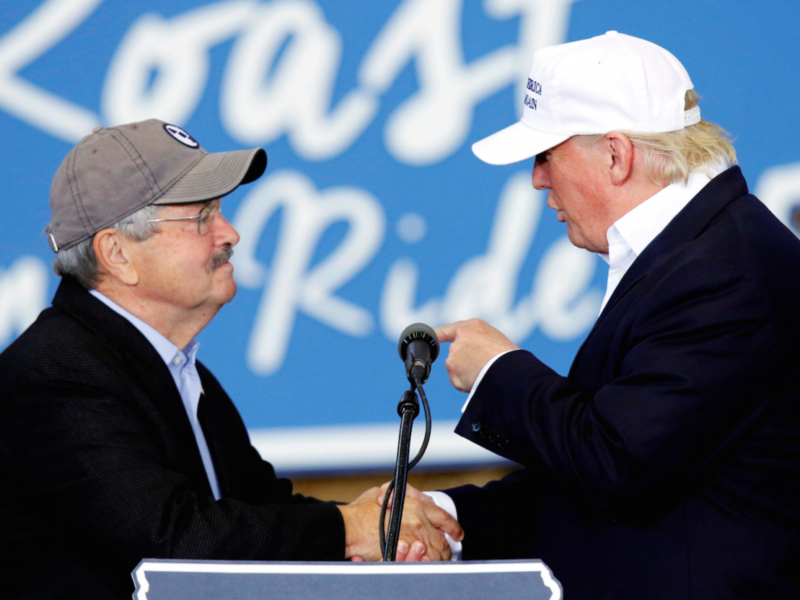 He prudently appointed Iowa Governor Terry Branstad who admits to being a “longtime friend” of Chinese President Xi Jinping for over 30 years. Moreover Iowa has strong trade ties to China with significant exports of corn and soybeans to China. Given his guanxi and experience overseeing trade with China, the thinking is that Branstad will have greater access to Xi and Trump to help smooth over US-China relations and to help get things done. Whether that happens remains to be seen but at least Trump understands this important aspect of Chinese culture. OUTLOOK: Trump is not a predictable personality and some volatile things could happen. All in all, cooler heads may prevail though as Congress has the ability to reign him in through checks and balances. We shall see. In the past 12 months Steel prices have risen about 50%. Glass, plastic resin, and other commodity prices have risen as well. How does this affect importers? These are the materials your products are made of so your suppliers will either have to eat the cost or pass the cost increase onto you, the buyer. As you can see from the cost index below, coal prices have risen almost 60% from Jan 2016 to Jan 2017. Factories need energy to keep the lights on and the equipment running and they will pay more to do so. As a result this will have a direct impact on their bottom line cost, which will likely be passed onto buyers. China is known for having some of the most polluted air in the world. Wealthy Chinese and celebrities are leaving Beijing to seek blue skies abroad. Home air filtration units are sold out here in Shanghai (cough, cough!). 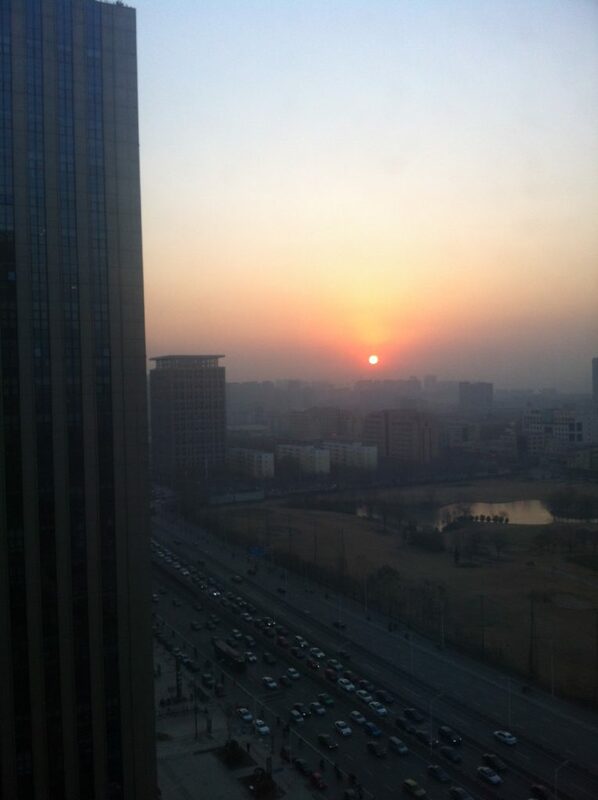 And it’s well known in the expat community that Beijing is a notorious place to work because of the pollution. In fact some schools have build domes over their playgrounds to protect children against the smog. Imagine playing in a bubble! After being the world’s factory for so many years, China is now beginning to cleanup its act. The state has enacted pollution control laws that have shut down and consolidated some of the highest polluting factories. For example fabric-dyeing mills in Zhejiang have been consolidated to more clean producing factories. But this means higher costs because the cheaper and more heavily polluting mills have shut down. Similar factory consolidations have occurred across China leading to higher prices. This is the price we pay for cleaner air and water. 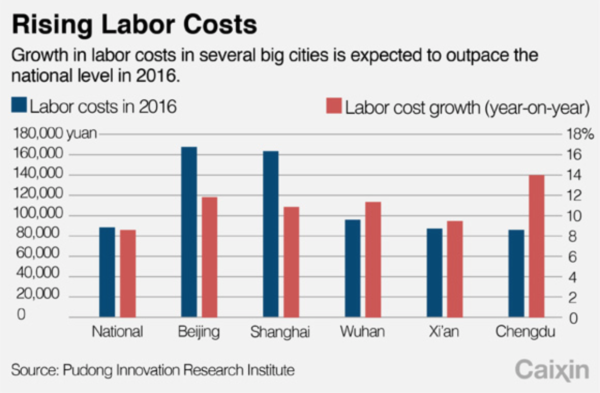 Here in China, labor costs are rising an estimated 9% according to a survey by the “Pudong Innovation Research Institute” and a report by Caixin. The factory owners I’ve worked with report that their factory workers can demand pay raises of up to 20% year on year. In fact there is a shortage of qualified labors now willing to accept the low salaries that factories traditionally offered. All in all labor cost increases are another factor resulting in rising prices. Despite rising prices, China has an ace up its sleeve. It’s called the exchange rate. Unlike other currencies around the world, which are freely traded and convertible, China’s currency the RMB is controlled. In fact the government can control the exchange rate and use it as a lever to balance against an economic slowdown, which China is currently suffering from, as well as to increase competitiveness of their manufacturing, which it needs to do given the rising costs it’s now facing. 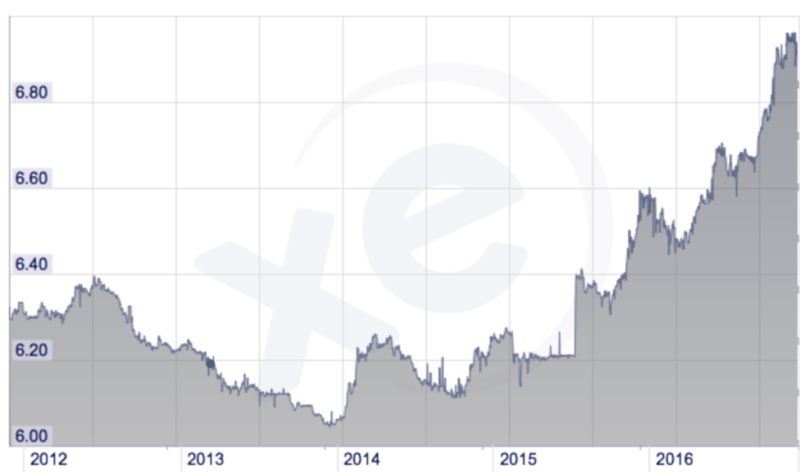 Looking at the CNY to USD exchange rate, you will find the CNY (or RMB) has been steadily depreciating since 2014. In other words, a cheaper RMB means lower prices buying from China. This is good news for importers and online sellers. The Chinese RMB is at a 5 year low against the USD. This means lower prices for online sellers buying from China. First of all, the rudder of this ship is how the Trump administration effects policy changes and trade with China. This will really set the tone for trade going forward once the new administration takes office. If the tone is harsh and China retaliates this may even set off a trade war and expect higher prices for everybody. Putting that aside, China costs are definitely trending upward. Regardless of whether your Chinese suppliers have warned you (they typically do not as in Chinese culture bad news is usually kept to themselves), expect cost increases after Chinese New Year in Q2 and Q3. 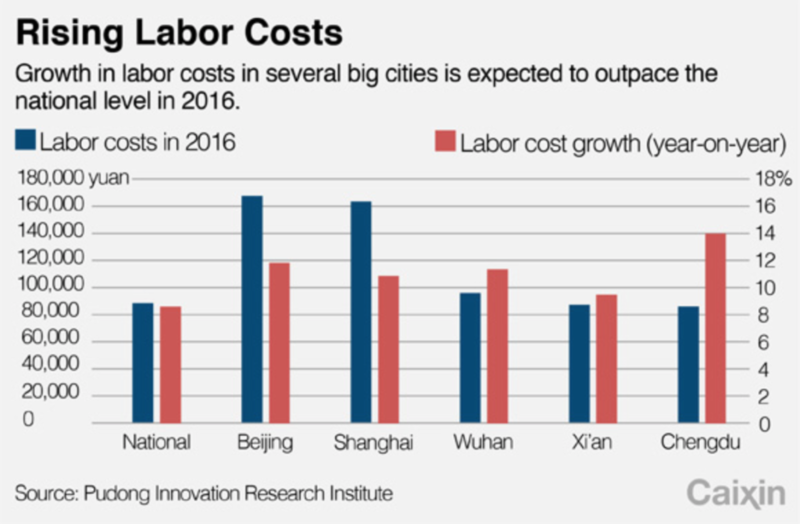 The exception would be if the CNY continues to depreciate to offset the increasing material, labor, and environmental costs. 80/20 Rule: Now is the time to review your business. If you have thin margins on a certain product, be prepared when the tide of rising prices hit you or else you may end up underwater. Stay tuned and sign up for the free 80/20 Sourcing newsletter for actionable ways to negotiate better pricing, cut costs, and ways to stay ahead of competitors for more so you can make more money.